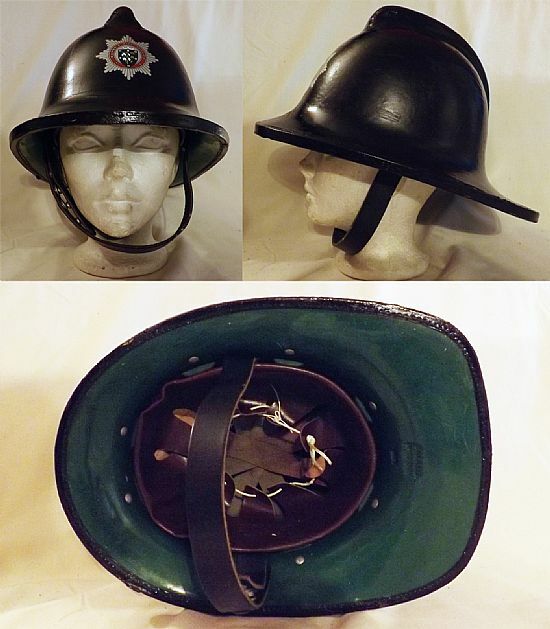 A gallery of the Helmets Ltd (Cromwell) helmets in my collection. 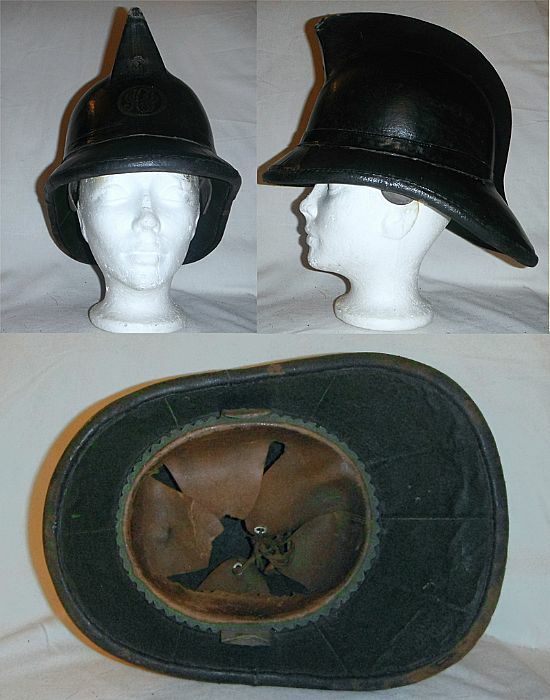 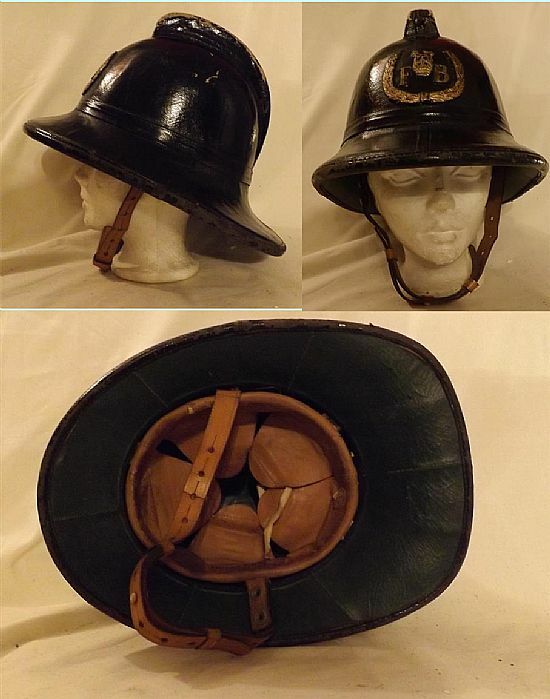 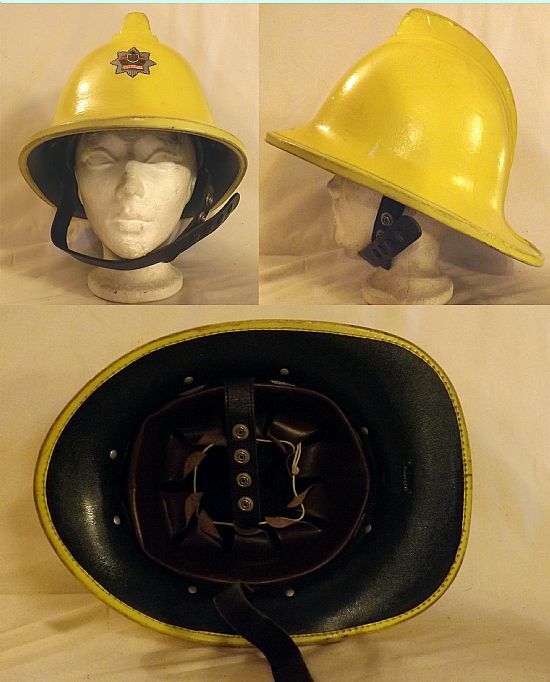 This is one of the first fire helmets made by Helmets Ltd and is one of a batch of only 100 made for the London Fire Brigade for evluation in 1935. 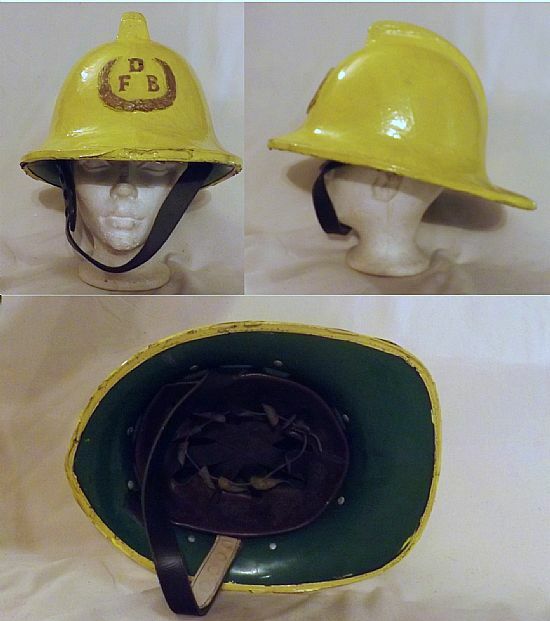 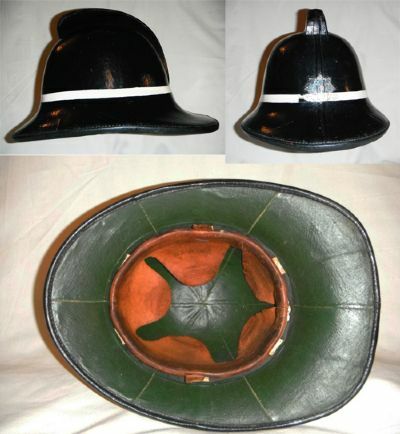 One of the rarest of British fire helmets, the Telbon model was not at all popular with British fire brigades and the bulk of the initial production run was marketed to the countries of the British Commonwealth and even then only with limited success. 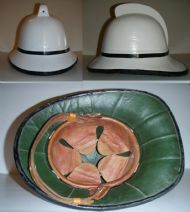 Subsequently they were only made to special order. 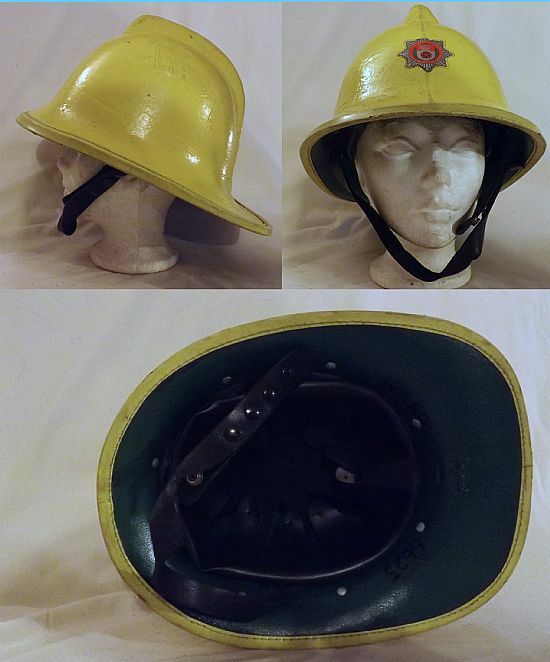 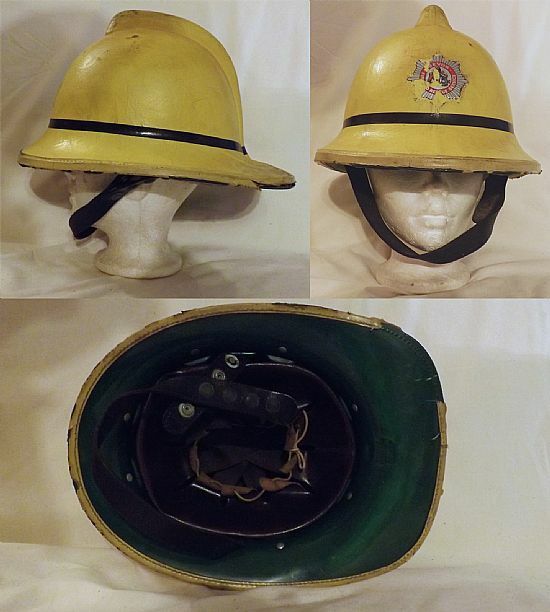 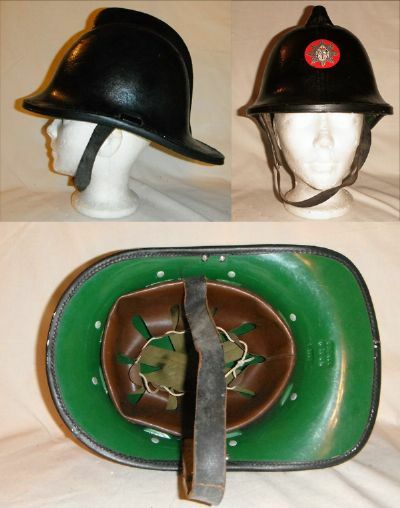 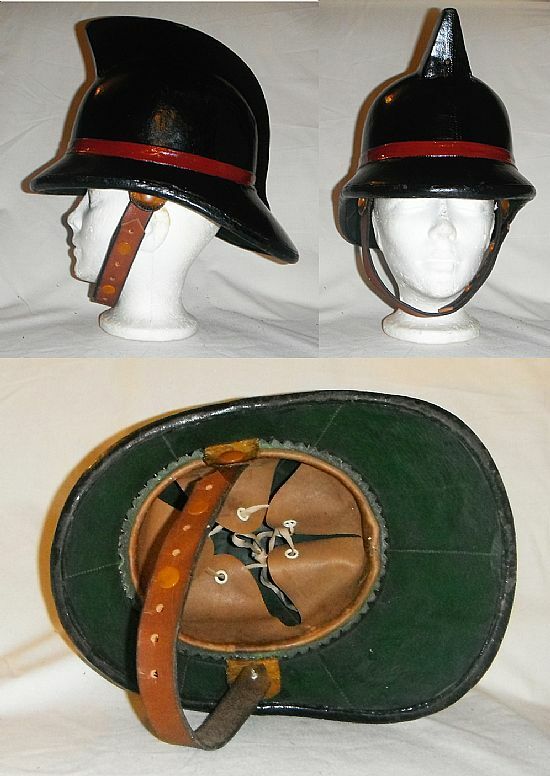 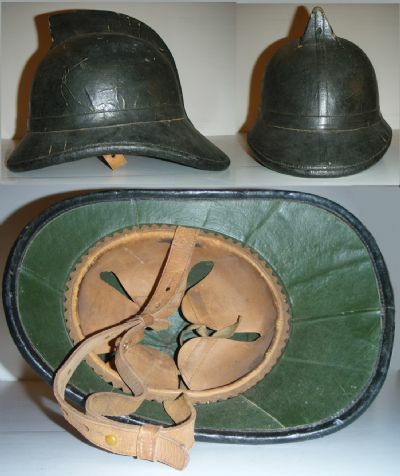 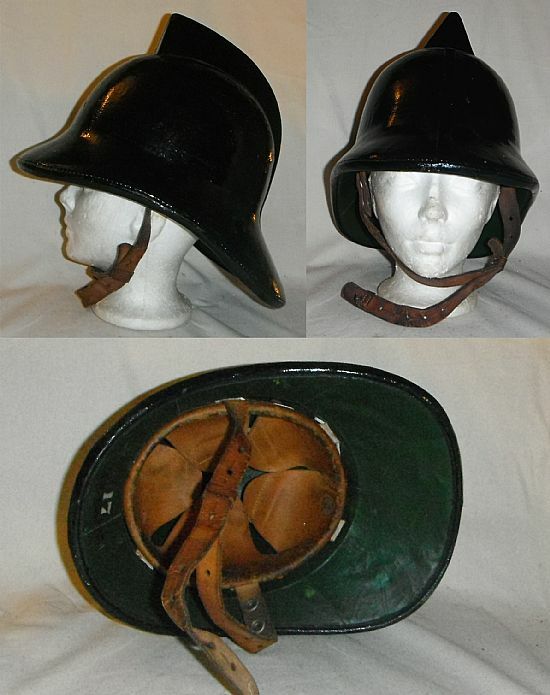 Another rare helmet built to a specification written by the Home Office it was supplied mainly to Military Fire Brigades and did not find wide acceptance with public fire brigades. 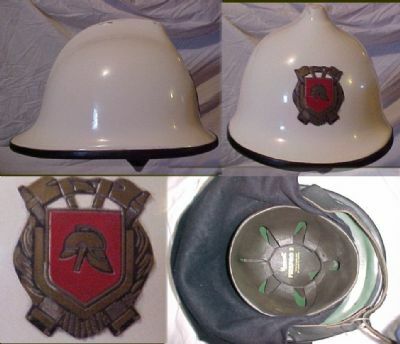 The 2320 was the earlier version of the F335 Middlesex helmet. This helmet was one of the most popular produced by Helmets Ltd along with the LFB pattern. Another of Helmets Ltd's less popular helmets. Like the Telbon the Arden found its main market in Commonwealth countries. Earlier versions where known as 2170 (black) or 1170 (red). Along with the Middlesex pattern the LFB was probably the most popular Helmets Ltd fire helmet until bothe were overtaken by the County. 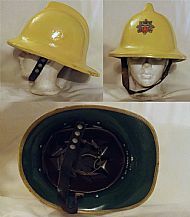 The LFB was designed specificaly for the London Fire Brigade but was taken up by many other brigades. 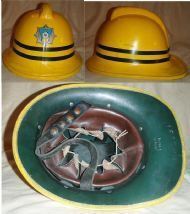 The 2221 is another rare Helmets Ltd product. 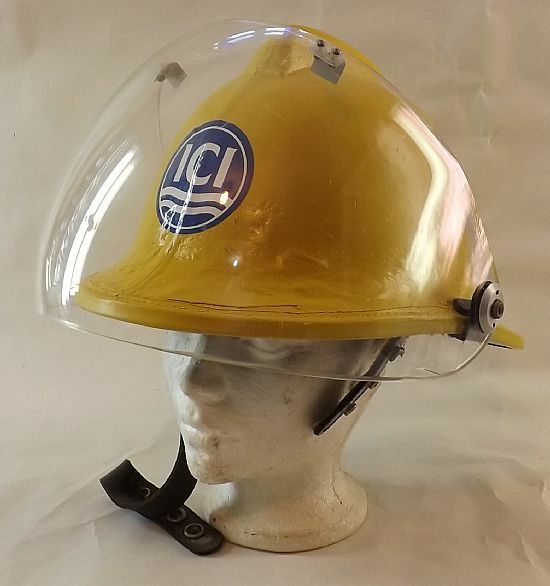 It is the direct forrunner of the County model and was only in production under the 2221 designation for a short while before, with a slight re-design, it became the County. 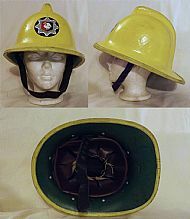 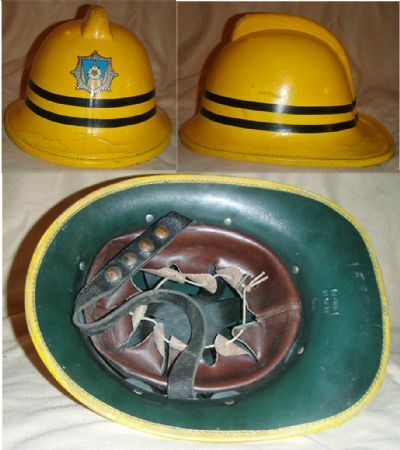 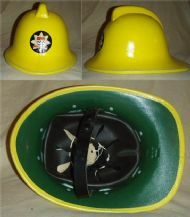 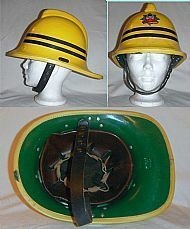 The 3871 was a new concept in fire helmet design, taking advantage of new plastic materiels and techniques. 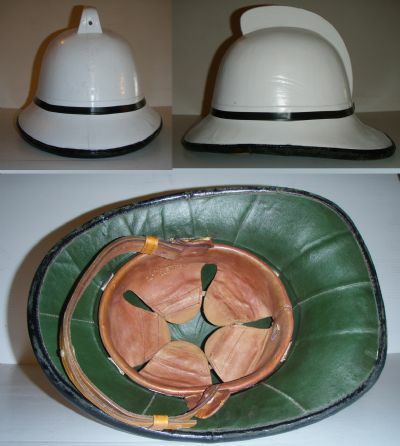 The shell was a sandwich of fibreglass, bonded cork crumbs and plastic. 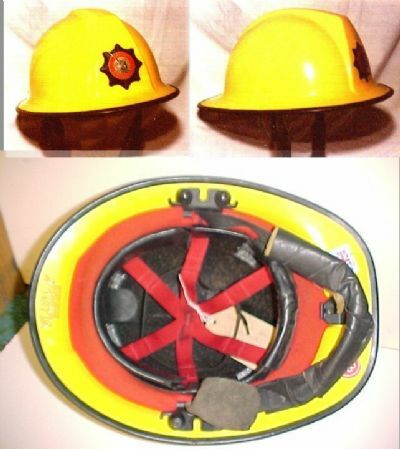 However it was very unpopular with firefighters and was soon dropped from the product line. 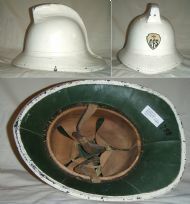 The County has probably been the most popular Helmets Ltd helmet in the entire cork helmet range. 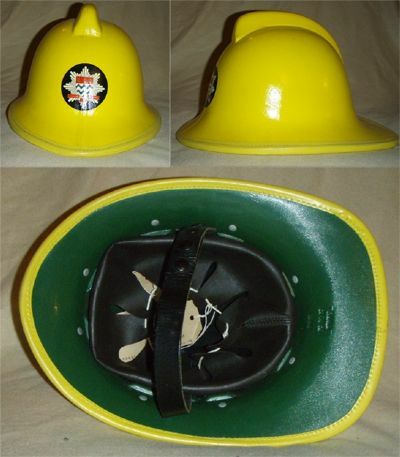 The Firepro one was a second attempt to update their fire helmet design. Essetially the same as the 3871 in construction but with a more conventional shape. 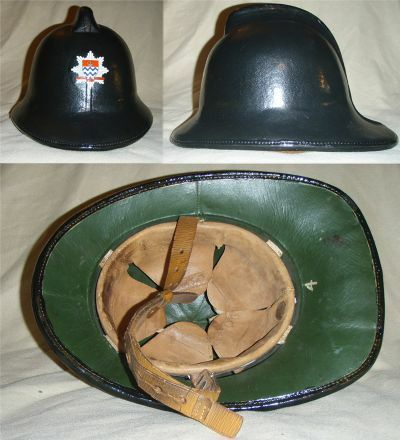 However it, like it's predessor, was not taken up by many fire brigades. The F500 marks the end of the cork helmet. 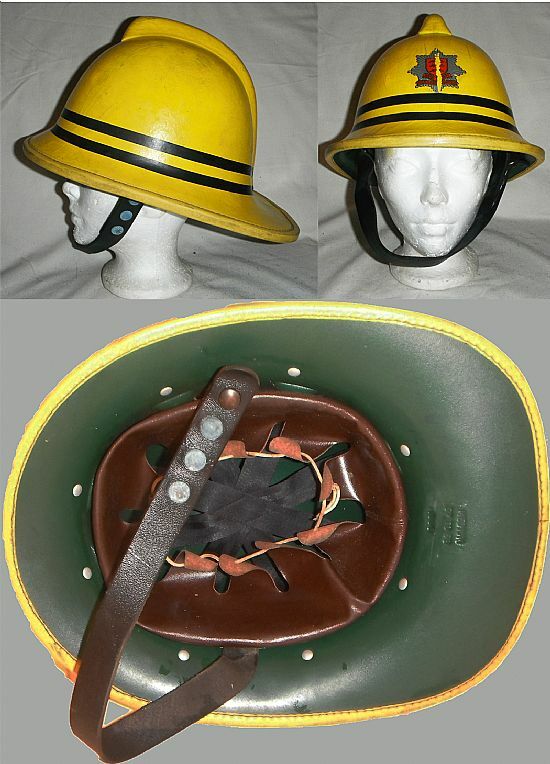 This was a helmet made entirely from plastics and heralded new design in head protection. 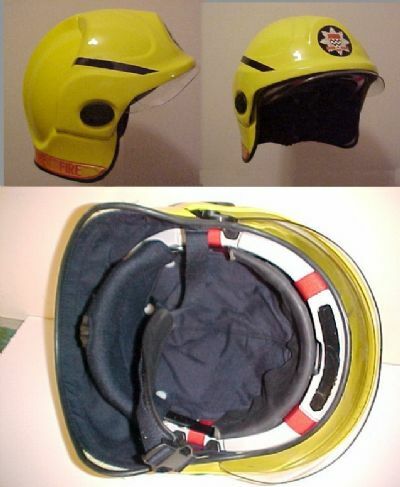 The F600 was designed to compete directly with the Gallet F1 and has proved to be fairly popular with British fire brigades. 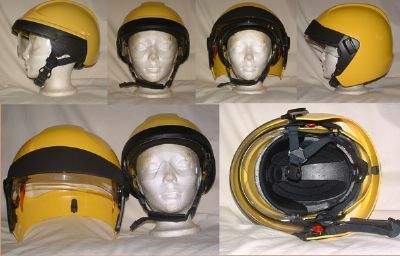 Helmets Intergrated Systems latest inovation, an Emergency/Rescue helmet that converts to a Fire/Rescue helmet by clipping on an outer shell. 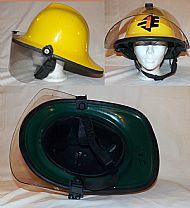 Another rarely seen Helmets Ltd. Helmet, the 2030 shares features of both the 2122 and the F535 (NFBA). 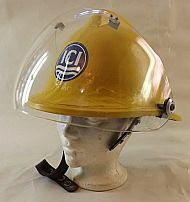 A very early version of the 2030 made by Helmets Ltd for the uniform manufacturer J Compton, Sons & Webb Ltd, who supplied the Fire Brigade of the newly formed British Railways with uniforms. Like Merryweather & Sons J Compton's sold a range of helmets, including crash helmets and police helmets under their own name but manufactured by Helmets Ltd. Worn by 3rd Officer G.A.Godfrey with the Durham & Northumberland Colliery Fire And Rescue Brigade. 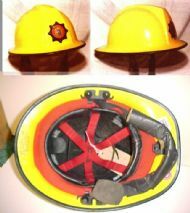 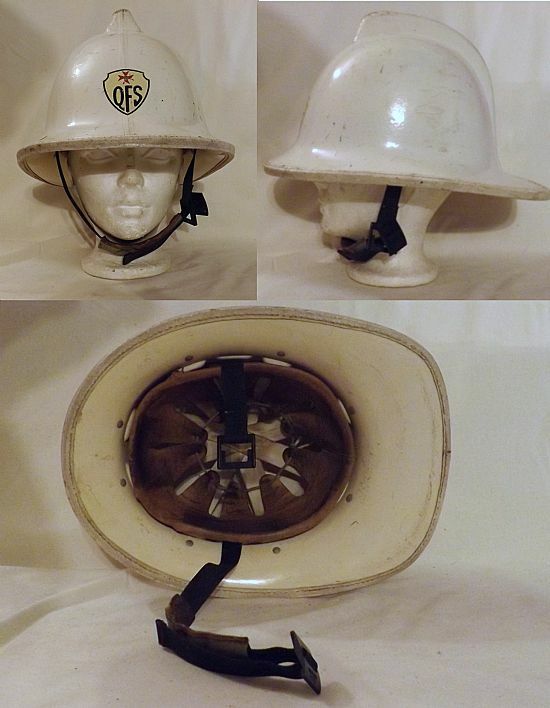 This helmet was found in the USA and supposedly used by a firefighter of the BPC Volunteer Fire Dept. 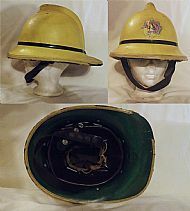 in Kooskia, Idaho. Not only is it rare for a British helmet to have been used in North America but the helmet itself is odd. It is a MkII Arden but with a Nylon/Rexine liner as used in the later Cromwell helmets as well as having a "button-in" chin strap (missing) found on earlier helmets. A variant on the Cromwell County F135 helmet, having reduced side brims as well as the facility to attach a visor (blanking plates cover the holes). 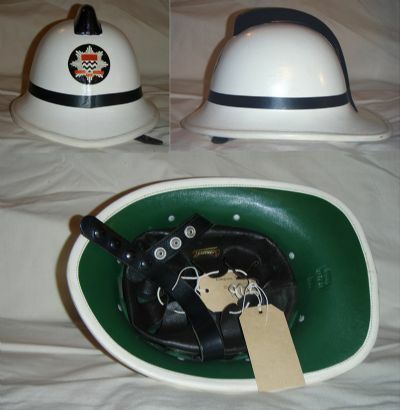 Humberside Fire Brigade was formed in 1974 and became Humberside Fire & Rescue Service in 1985. 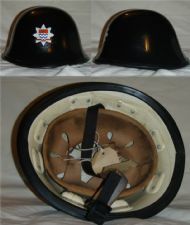 Helmets Ltd Cromwell 2240 with laced-in head suspension. Used by the fire services of all branches of the British military. 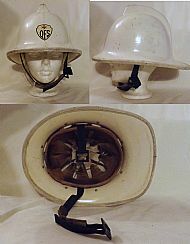 MkII F135 County, this was the first F135 to have the new plastic inner shell. 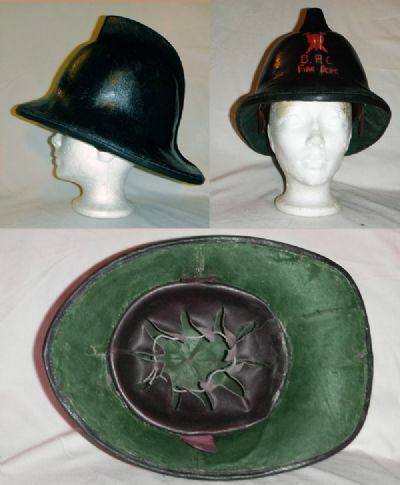 From 1965 to 1968 these shell were made of smooth green plastic without any size or date stamp the later MkIII had a textured green inner shell and the stampings. 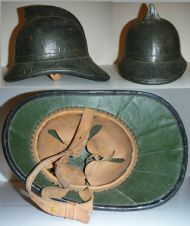 This is one of the first MkIII County style helmets. 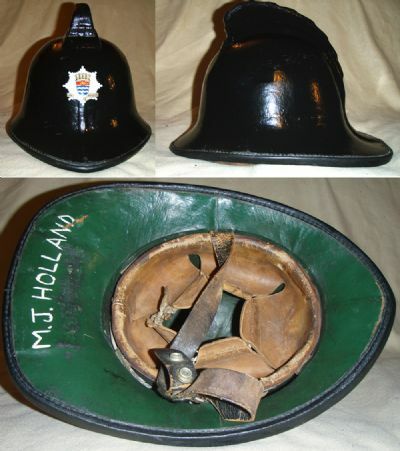 It was manufactured in 1971 although it did not go into service until 1974 (when CCFS was formed). Jersey is a Crown Dependency with self government and an independent Judiciary. 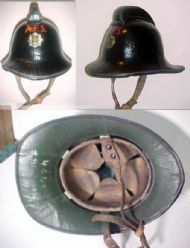 It is not, however, totally independent from the UK. 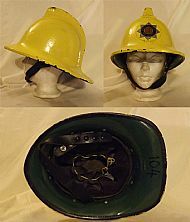 Many of the F135s supplied to Irish Brigades had a squared-off comb rather than the standard rounded one. 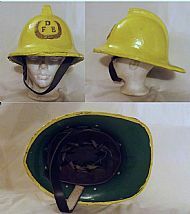 1964 variant of the F135 County. This version has the early plastic inner shell but in white not green and a very early version of the "poppered" head suspension made of leather not leatherette as all other versions are. 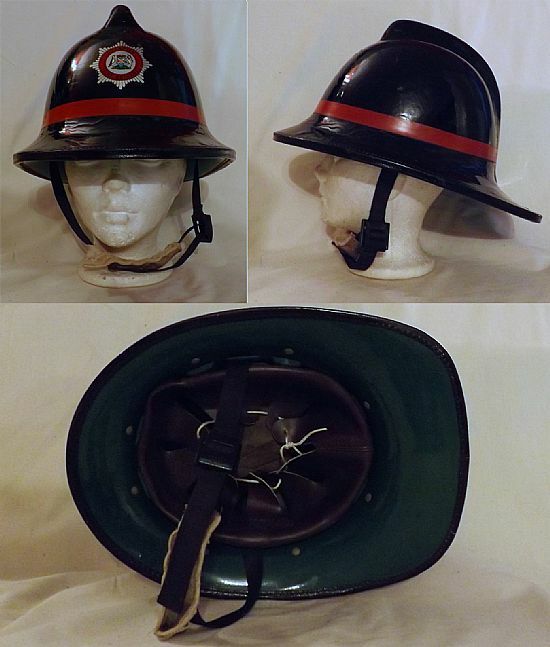 Irnrod Eireann (Irish Railways) Fire Service. 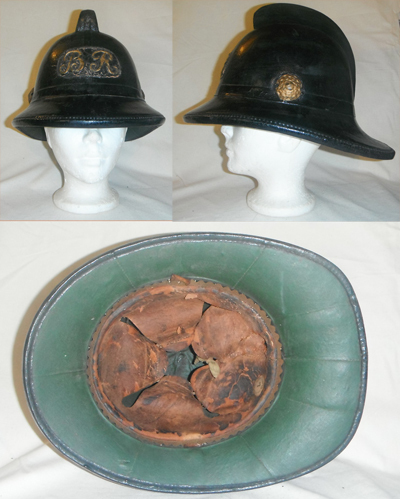 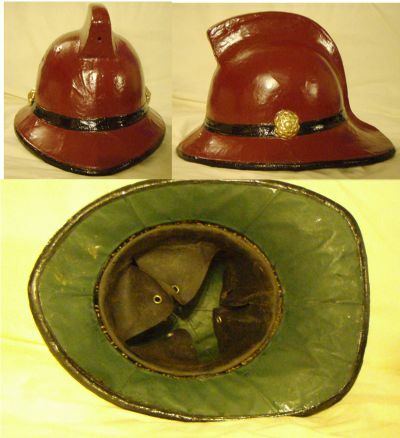 This is one of the last cork shell helmets made for the British fire services. Helmets Integrated Systems Ltd (Helmets Ltd) stopped production of these helmets in July or 1995. 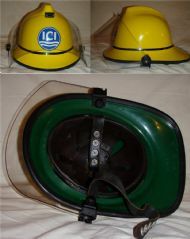 Helmets Integrated Systems Ltd. Cromwell F1001 Echo. 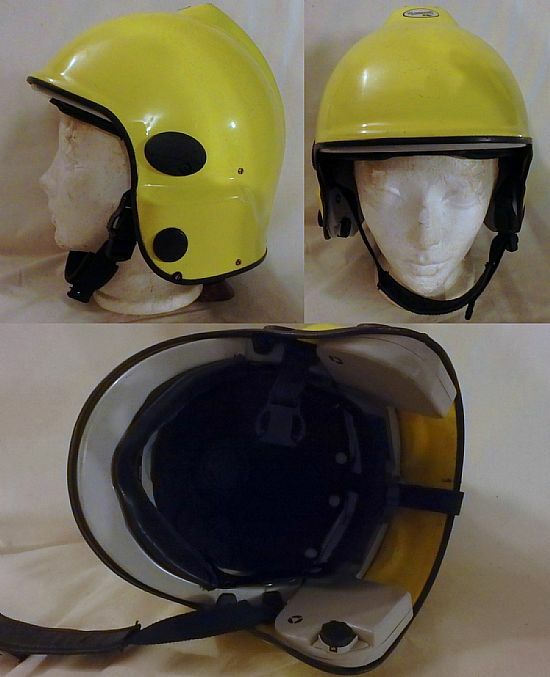 Designed for close quarters fire fighting with built-in 16 channel radio comms. 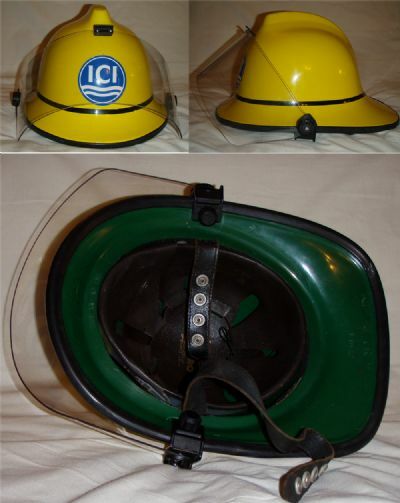 A standard F135 County helmet fitted with a Cromwell F404/6 Airport Service visor for close proximity fire fighting. I am always happy to email pictures and information of any of the helmets in my collection on request.